Hotel Jen Malé, Maldives held a Children’s Day mixed cartoon theme in the hotel’s ballroom. 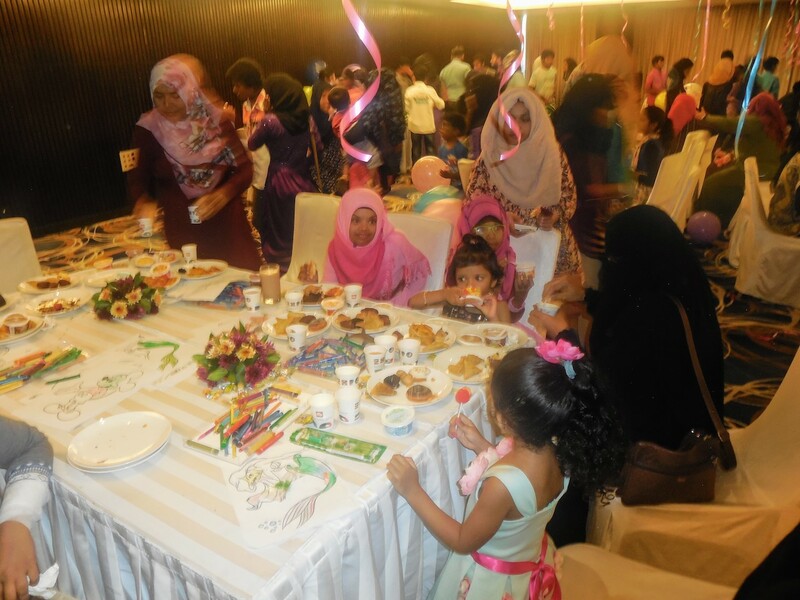 In keeping with Hotel Jen’s focus of supporting causes related to children, the hotel invited children from the Beautiful Eyes Down Syndrome Association of Maldives and their parents and the teachers and caretakers of Children’s Home (Kudakudhinge Hiyaa) to Children’s Day event. 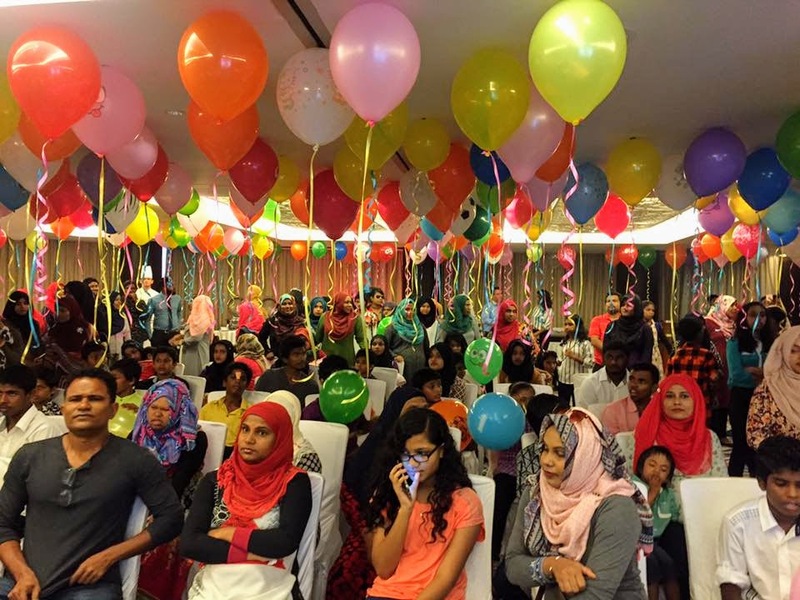 Hotel Jen Malé, Maldives has been steadfastly hosting this joyful event to mark International Children’s Day for the past four years. The hotel prepared games, prizes and refreshments for the children and their parents, who participated in various activities and had a lot of fun at the party, which offered all kinds of recreational facilities suitable for kids aged 1to15 years old. 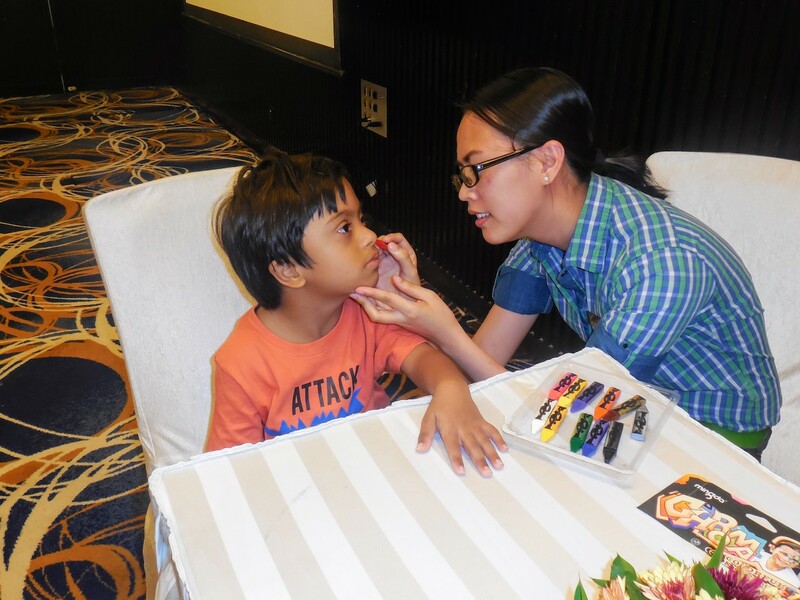 The ballroom was transformed in-to a fun, colourful party station featuring children’s games, painting activities, a cartoon handicraft area, musical chairs, a colouring station and many more. A theatre like area was especially set up to air cartoons on an LCD projector for the kids. The hotel’s pastry chef and pastry team created a big Minion cake for the children to celebrate their special day. The party was concluded with cake cutting ceremony by the children themselves. The staff and the parents of Beautiful Eyes Down Syndrome Association of Maldives and Children’s Home helped makes this event such a success. “We are always striving for innovation and providing distinctive experiences for guests of different ages at Hotel Jen Malé, Maldives. Every kid is an angel and we hope they can have a great time here at Hotel Jen Malé, Maldives on Children’s Day “said Mr. Rahim Flynn, the hotel’s general manager. In striving to be a leader in corporate citizenship, Hotel Jen Malé, Maldives continuously finds ways to offer support to underprivileged communities. Hosting this event has been both a privilege and a humbling experience for everyone at the hotel. 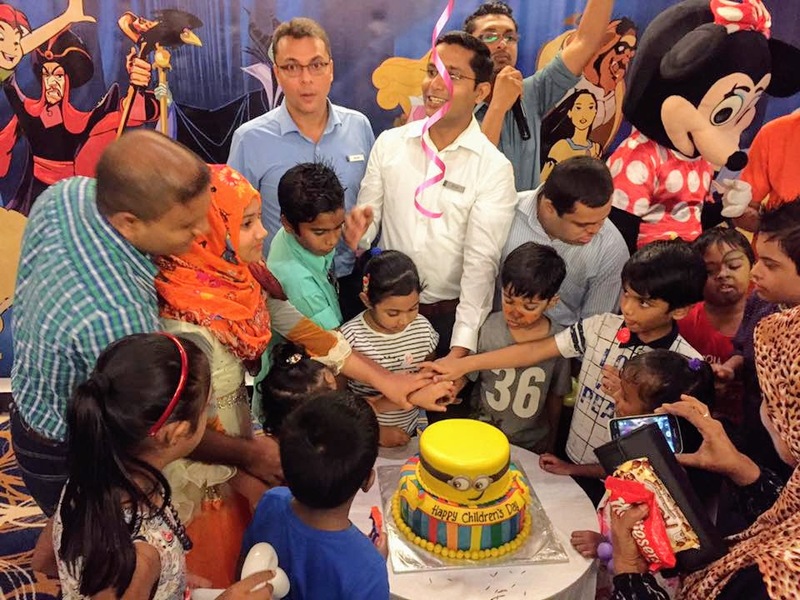 It has been most gratifying for the colleagues to see the smiles light up the children’s faces as they looked forward to enjoying the hotel’s fun annual Children’s Day Party. Children’s Day is one such occasion where the young ones can cherish a memorable day of fantasy.